Lorenzo Agius started his career many years ago by producing the memorable and iconic images of Ewan McGregor and cast for Trainspotting’s ad campaign to Liam Gallagher and Patsy Kensit laying under a Union Jack bedspread for the cover of Vanity Fair. With his highly considered approach to photography, Lorenzo consistently produces a diverse and highly refined range of work. His portraiture has encompassed many highly regarded talents including Tom Cruise, Jack Nicholson, Beyonce, Madonna, Rachel Weisz, Helen Hunt, Samuel L Jackson, Will Smith Jared Leto Kevin Spacey Kate Winslet Margot Robbie Helen Mirren Sharon Stone Micheal Fassbender and many more. 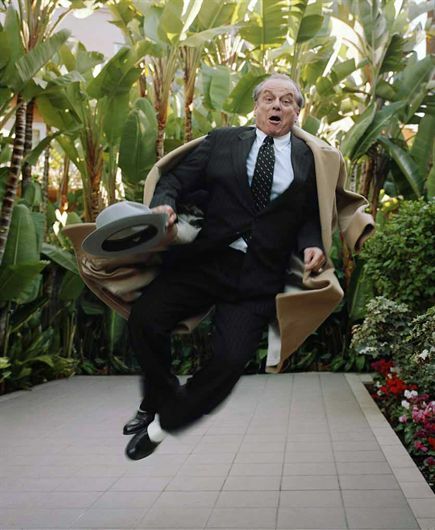 He has become known as one of the preeminent portrait photographers of his generation and continues to work around the world for numerous commercial, film and editorial clients. Originally from Malta Lorenzo Agius studied Art and Art History at the University of East Anglia, moved to London in 1983 and started to assist in photography. In 1989 he became a freelance photographer specialising in fashion and portraits. His work has been published in Vanity Fair, Vogue, Elle and i-D. His film poster commissions are instantly recognisable and include Trainspotting, Jude, Spiceworld, Trees Lounge and Sliding Doors. Lorenzo has a number of images in Londons National Portrait Gallery’s permanent collection and his work was the focus of an exhibition in conjunction with the British Fashion Council to celebrate their 25th anniversary at the Natural History museum. His images were used to open the 63rd Cannes Film Festival and have appeared on the streets of Moscow in two open air exhibitions. In an interview for Independent Lorenzo Agius tells Melanie Abrams the stories behind his best shots. ”When Ewan McGregor, Jonny Lee Miller and Robert Carlyle shot to fame with Trainspotting – so did Lorenzo Agius, the photographer who took the film's iconic black-and-white publicity shots. A year later, in 1997, his photograph of Liam Gallagher and Patsy Kensit defined Cool Britannia on a Vanity Fair front cover. It is, says Agius proudly, the only time the magazine's legendary cover has been shot by a photographer on their first shoot. Since then, he has regularly photographed A-listers from Angelina Jolie and Brad Pitt to Beyoncé, often capturing them in unexpected ways with his characteristic naturalness and quirky humour. For Agius, the best shots are those which are spontaneous, because they happen so rarely. 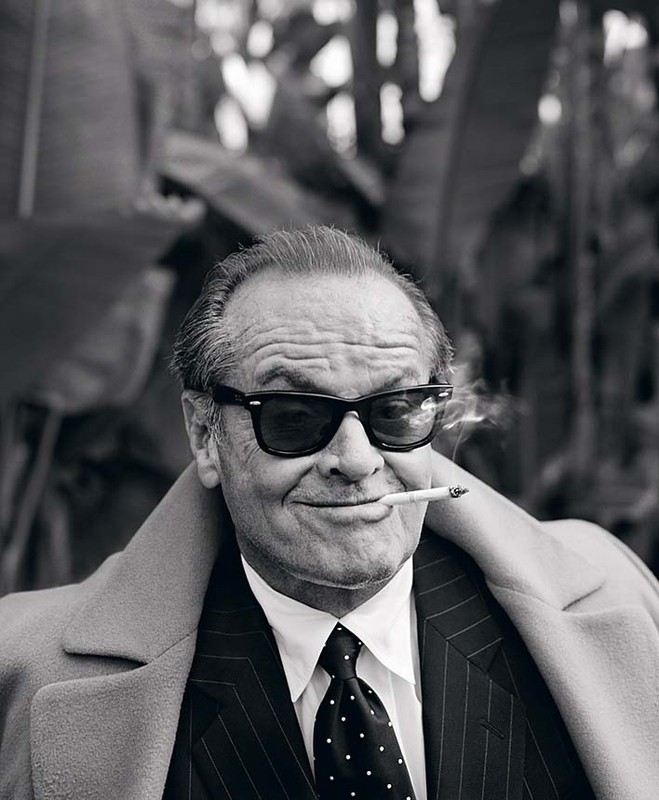 For example, Jack Nicholson jumping in the air and clicking his heels as he and Agius were talking about Fred Astaire or Sienna Miller creating a moustache as she relaxed in a bath. "Wewere drinking, smoking and fooling around. I was shooting Sienna around the bath with one foot on the side – a real Blow Up moment. And suddenly she made a moustache with her wet hair. He also pushes the boundaries of his stars. For example, the shots of McGregor and Law in bed together. "Judedidn't want to do it at first because he was worried about how he would be portrayed, but he agreed after I said,'Let'schannel Morecambe and Wise,'" he recalls. "Forthe shot in the bathroom, I couldn't stop them laughing. Jude pulled his trousers and pants down and sat on the toilet reading the newspaper, as Ewan stripped off naked and got into the bath. It was as if they were an everyday couple," he says. Agius likes to bring out a different side to his stars, too. Describing his shoot of Madonna around the time she published her first children's book, The English Roses, he says,"Iwanted to capture her softer side, as the writer of children's books, rather than her usual strong, masculine images. At first, it was difficult for her to be herself. It looked like she didn't know what to do but when I gave her directions such as lean against the bookshelf with her legs in the shape of an M, she started to relax and let her personality come out." His clients include 20th Century Fox, Warner Bros, The CW, ELLE, EMI, Esquire, Essence, GQ, Gieves & Hawkes, Glamour, Graff, Harper’s Bazaar, HBO, iO Donna, Vanity Fair, Marie Claire, Marks & Spencer, McCann Erickson, Miramax Films, Lionsgate, Sony Pictures, Tatler, Telegraph Magazine, Town & Country, Universal Pictures.